Last few weeks we are watching the madness about .app domains. I read somewhere it is the most promising new gTLD so far. This might be true, but only time will show. General Availability started on 8 May 2018 and anyone was able to register available .app domains. Most people and domain investors in general were in hurry to register the most precious available .app domains. Without making a good research this might be a costly mistake in future. Inspired by NamePros thread. 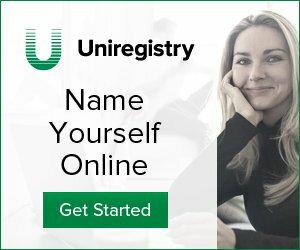 I made some research of registered .app domains, but with still available to register .com alternatives. First I applied for the .app zone file at czds.icann.org, day later I was approved. I downloaded the zone file and I created some scripts to check through the list of all registered .app domains so far. After that I compared the dot com alternatives. For every SLD.app registered domain name I was checking for both SLD.com and SLDapp.com. I was not compared it to dot com zone file, but I ran whois query for each dot com domain, this way takes more time, but gives more accurate results. Total registered .app domains to May 16 2018 – 210 012, according to .app zone file. If you check all lists you will probably see some of the registered .app domains doesn’t even make sense and are not usable to me. Is the .app next big gTLD or just another new gTLD that it won’t be much different than the others? What you think?